Your baby’s language is developing way before she utters her first word. She’ll be tuning in to the outside world from the womb, listening to your voice and change of tones. She’ll continue doing this during the first months, figuring out what the rules of language are, and observing how grown-ups around her use it to communicate. Her first attempts at language will be no more than cries, coos, and gurgles that will turn into babbling vowel and consonant combinations in the third or fourth month. You’ll learn that language is more than words –smiles, and different cries will communicate pleasure or displeasure. Wait for the big breakthrough: her first word might come as early as six months! However, that connection between ‘mama’ or ‘dada’ and you might not be present yet. You’ll have to wait another six months for that! However, your baby probably understands way more than she can say at most points. So, avoid swearing so that she doesn’t imitate you later on! There are several important things you can do to help your child’s language development and, don’t worry, it’s not rocket science. One of the most important things to do is to talk to and around her. It doesn’t need to be nonstop chatter, but talking to your baby will expose her to the vocabulary and attention she needs to develop her language skills. Parentese –or the melodic and high-pitched tone many adults use to talk to babies– is especially tailored to help a baby’s brain learn, so don’t be afraid to use it. Another thing to do is to read to your baby. A few minutes a day will teach her about sentence structure, tones, and will keep her entertained! 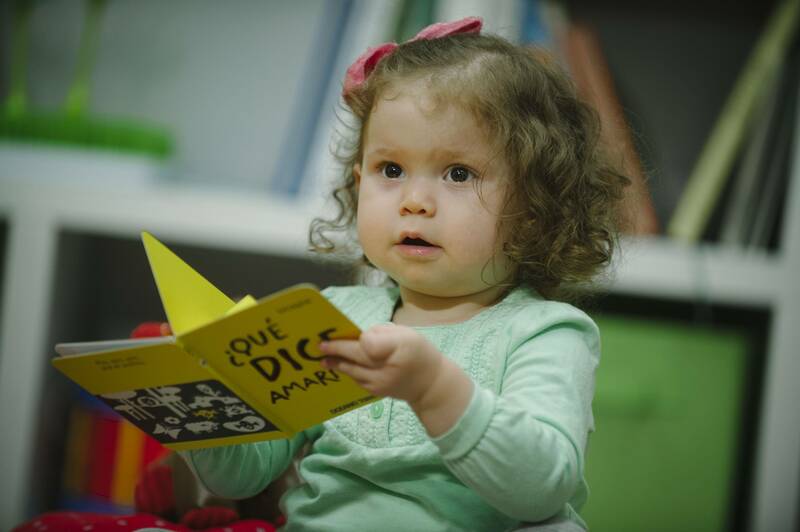 She’ll be learning new words at an incredible rate, so books are also a good way to change up the vocabulary she usually hears at home. Listening and giving positive feedback is the last and maybe hardest of these three things you can do to help your child’s development. Being responsive to her babbling –even though it sounds like nonsense– will encourage her to keep practicing. The same applies when she starts using her first words and short sentences! One important thing to consider is that babies will only reap the benefits when a real, live person is talking. TV or radio will not have the positive impact on linguistic abilities and IQ that talking, reading, and listening to will have. There are several important things you can do to help your child’s language development – and don’t worry, it’s not rocket science. For example, one of the most important things to do is to talk to and around him. It’s truly a great and useful piece of info. I’m happy that you simply shared this helpful information with us.